Commerical Appeal reported that during the “New Face for an Old Broad” that so many people flocked to the event, the food ran out. The Memphis version of the Better Block held in November was an overwhelming success with turnout estimated between 13,000 and 16,000 people, but what is it like two months after? We spoke with Pat Brown, Business Manager and Publicist for T Clifton Art for an update. By her estimates business has tripled from a year ago. Restaurants on Broad have extended hours to keep-up with new demand and real estate interest in the area is noticeably increased. Pat is focused on further quantifying the benefits of the Better Block event and promises to have more quantitative measures such as sales receipts and new lease information soon. In the mean time she notes the qualitative measures are very apparent. “Broad is more alive. People are returning regularly that were exposed to the area during the weekend demonstration of a more walkable/bikeable Broad. We have request from festival and event promoters from other parts of town that now want to be on Broad for their next date. A museum is even looking to relocate to the area”, says Pat. This is not the first attempt to revitalize Broad Avenue. In 2006 the City of Memphis conducted a study and tested a new form of land development coding on Broad. Like many other planning efforts in this country not much happend after adoption. Andy Clarke, President of the League of American Bicyclist visited Dallas today and mentioned the two efforts that he felt were most inspirational nationally were the growing Ciclovia movement, and the Better Block projects. These two experiential planning tools will replace the public meeting and charrette format currently used by planners because they engage people at an emotional level. Workshops and pretty pictures are not the things love stories are made of. 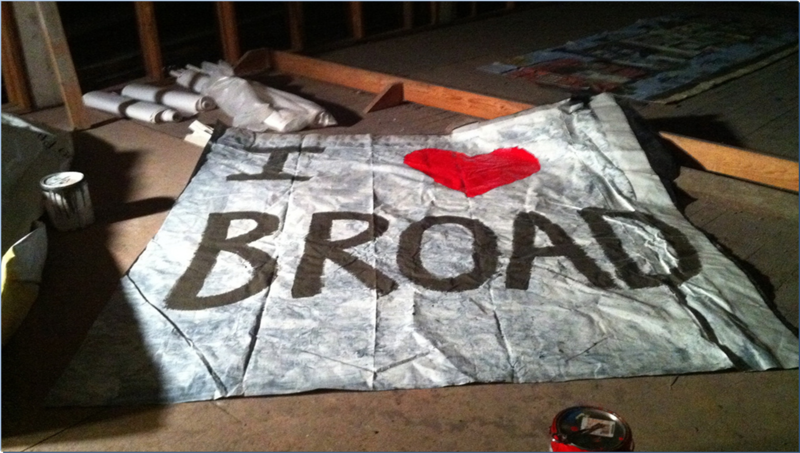 Memphis is in love with Broad. 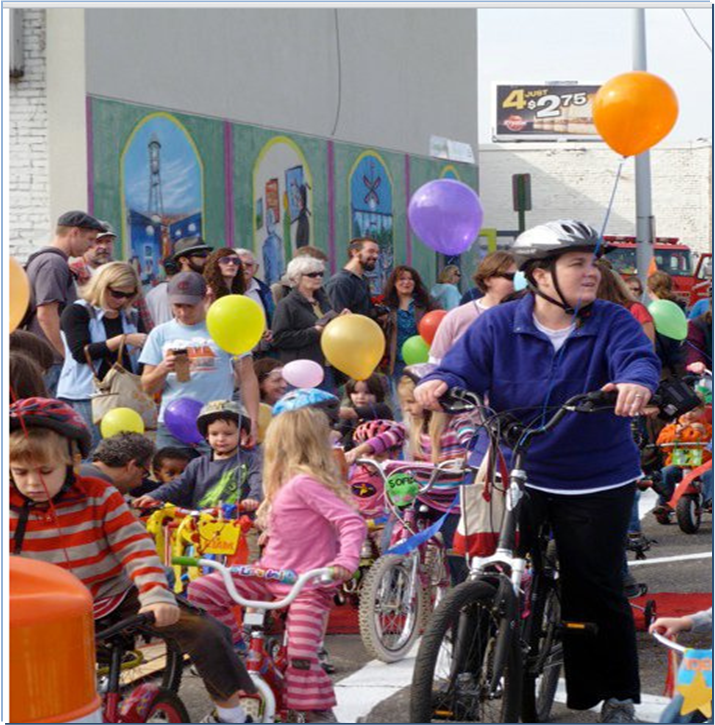 The Alliance for Biking and Walking has given Livable Memphis a $25,000 matching grant for permanently engineering the bike lanes through the Broad District and beyond. The design should be complete this spring and the Better Block remake of Broad will be on its way to permanence.